(CBS) Scared of salmonella - but afraid to give up eating eggs? Join the flock. Famed food activist and "Omnivore's Dilemma" author Michael Pollan has some advice for you. "I buy farmer's market eggs," Pollan told CBS News by email. "They cost more, but are a better product in every way, including taste and - because they come from small flocks that get to spend time outdoors - are safer as well. You'll spend 50 cents an egg instead of 13, but this is definitely a case of you get what you pay for." Research seems to back up Pollan, who has become the go-to guy on the perils of factory farming. In Europe, where the hen-confinement practices commonly used in the U.S. are being phased out, the risk of salmonella is lower, according to the Humane Society of the United States. In one study, 30,000 samples from more than 5,000 egg operations across two dozen countries were taken to compare the salmonella risk between caged and cage-free farms. Without exception, there was a significantly lower risk of salmonella infection in cage-free eggs. And a 2002 study published in the American Journal of Epidemiology found that people who ate eggs from caged hens had about twice the odds of coming down with salmonella food poisoning compared to those who did not eat eggs from caged hens, according to an article on the society's website. 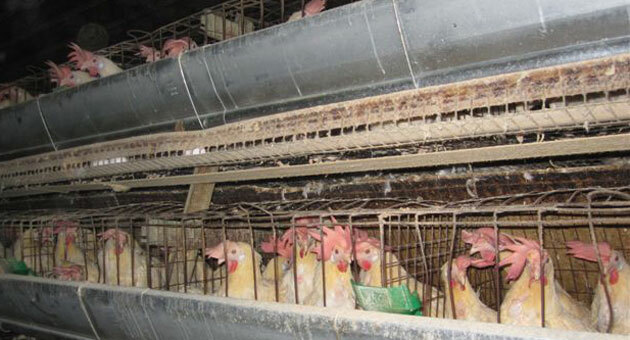 The article concluded, "How many more sicknesses, hospitalizations, and deaths will it take for the U.S. egg industry to modernize its production to safer, higher welfare cage-free systems?" Is the industry too hard-boiled to care?